Home Amazing From melting chocolate 'sprouts' to citrus sherbert flavoured gin: How Heston Blumenthal has teamed up with Waitrose to help give your Christmas food an unexpected twist this festive season. 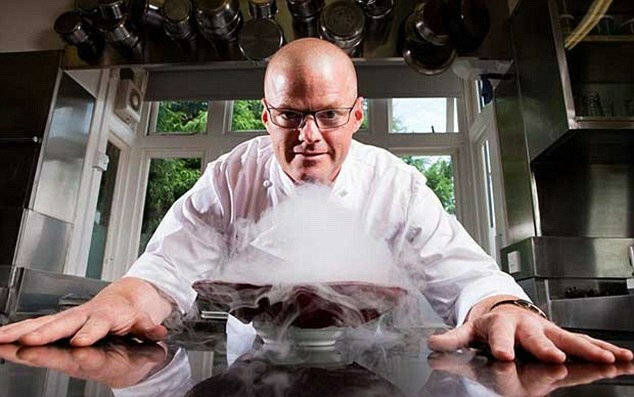 From melting chocolate 'sprouts' to citrus sherbert flavoured gin: How Heston Blumenthal has teamed up with Waitrose to help give your Christmas food an unexpected twist this festive season. We all know Christmas is a time for surprises. But this year it's not just the more thoughtful gifts under the tree that are set to delight us on the big day; we reckon some of the biggest and best foodie thrills can be found at Waitrose this Christmas. Blumenthal's infamous 'Meat Fruit' starter – a permanent fixture on the menu at his award-winning London restaurant, Dinner at the Mandarin Oriental hotel – which comprises a 'mandarin' of the lightest chicken liver parfait, has excited diners since day one, proving him to be a master of food deception. And who could forget the remarkable sounding 'Snail Porridge' or the signature 'Bacon and Egg Ice Cream', both regularly featured on the three-Michelin-starred menu at The Fat Duck? 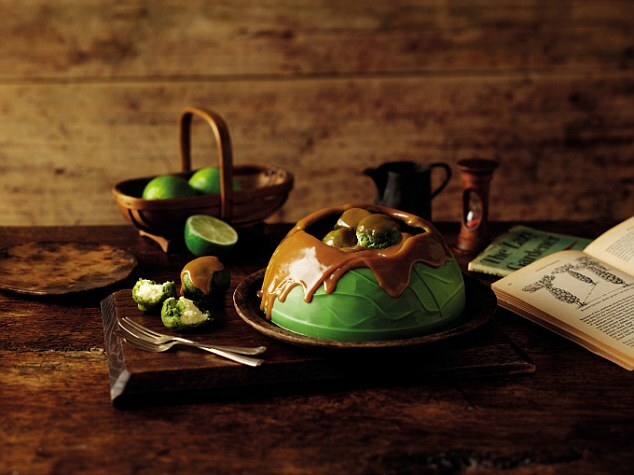 Designed to look just like a giant Brussels sprout, complete with realistically textured 'leaves', the Melting Chocolate 'Sprout' is formed from a brightly-hued green chocolate domed shell that can't fail to get people talking. But, following the trend for 'hidden reveal' puddings as popularised by Channel 4's First Dates, the 'sprout' is then flooded with a warm salted caramel sauce – with all the appearance of a delicious rich gravy! - causing the green chocolate exterior to melt away, exposing a hidden centre of 18 green profiterole 'sprouts' filled with a zesty lime crème pâtissière that perfectly offsets the rich chocolate and the sweetly salty caramel. But beware; this indulgent creation is so realistic you might need to reassure your guests that no actual sprouts were used in the making of this dessert! Continuing his reign as the Master of Disguise, the Heston from Waitrose The Edibaubles Collection is another triumph of delicious deception. 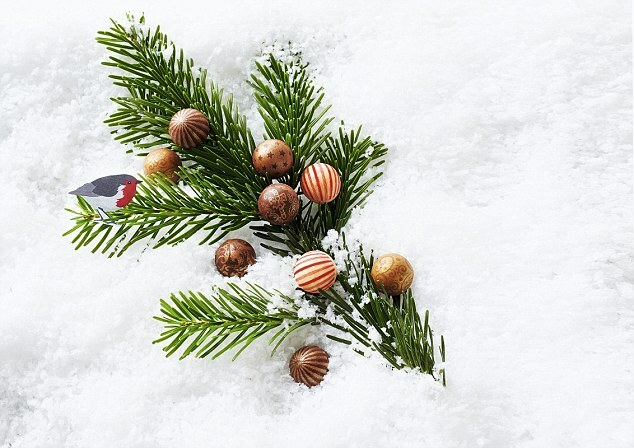 Styled simply as Christmas tree decorations, these beautiful creations are actually edible, and come in a range of unexpected flavours in a celebration of curiosity. We love the boozy-yet-creamy eggnog variety, but gingerbread and candy cane both come a close second – all blended with the most luxurious Swiss truffled chocolate. And it doesn't end there either; gin lovers should pop the surprising Heston from Waitrose Citrus Sherbet Lazy Gin right at the top of their Christmas lists – so called because the gin has been crafted with such a depth of zingy flavours (from Eureka lemons, Persian limes and basil) that your usual citrus slice is made redundant. Serve over ice with Mediterranean tonic to intensify the sherbert flavour, and you're good to go. Anyone who missed out on previous runaway successes like the Hidden Orange or Hidden Clementine Christmas Puddings need fear not; these beauties are both back this year, and continue to intrigue and delight with their richly spiced vine fruit flavours before the pièce de résistance of the hidden candied citrus centre is revealed to your Christmas guests. For a taste of the exoticism and unexpected that we've come to expect from Heston (and a lighter take on the traditional Christmas pudding), pick up the sophisticated Heston from Waitrose Persian Spiced Christmas Pudding. Think deep, dark Damask rose, sticky honey, luxurious pistachios and all the headiness of the Spice Trail, encased in a spectacularly shimmering pudding that hides a molten honey butter centre for a spot of post-lunch theatre on the big day. 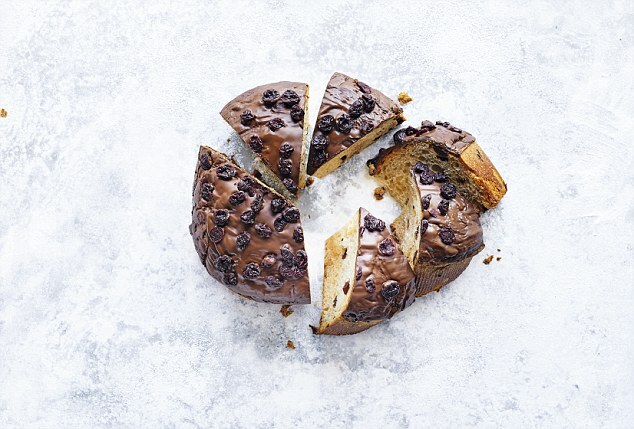 If you're looking to embrace a retro Christmas this year, however, you'll be wanting to stick a Heston from Waitrose Black Forest Panettone in your trolley instead... 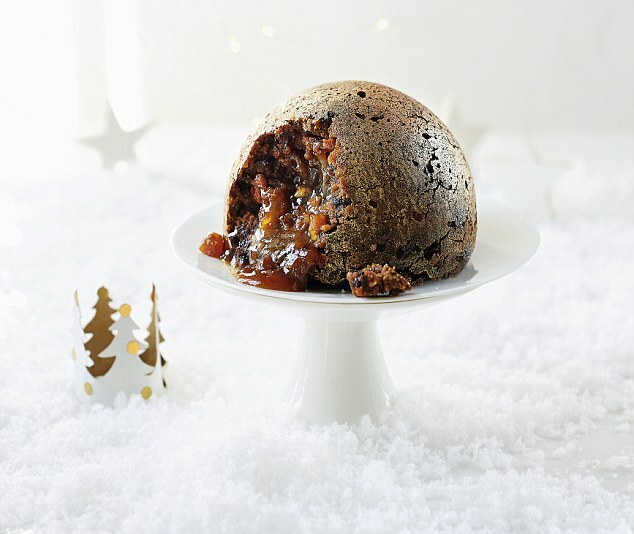 The past few years have seen the classic Italian Christmas dessert explode in popularity – even out-selling our homegrown much-loved Christmas puddings two to one at one point last year – but of course Heston's offering, presented in a festive gift box, is anything but traditional. Instead, he's embracing all the fun of Christmas past giving it a fabulously 70s style makeover, complete with candied cherries and nostalgia-heavy Kirsch cherry liqueur on the inside with dark chocolate and sour cherries to finish, which is set to rekindle all those old Christmas party memories of Black Forest Gateaux gone by. And what Christmas would be complete without mince pies? Served warm with a dash of cream, they're the ultimate Yuletide treat. But trust Heston to give them an unexpected twist. 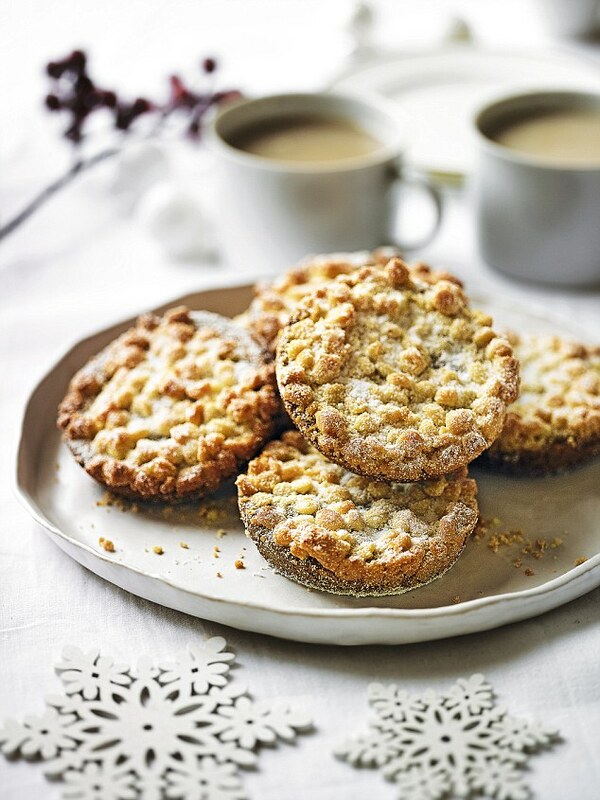 What Christmas would be complete without mince pies? Trust Heston to give them an unexpected twist. And anyone who fancies themselves as a bit of a whizz in the kitchen and wishes to try a spot of culinary wizardry should take a look at the Waitrose website. Dig in to a plethora of recipes for the ultimate Christmas with a twist, like the very best roast potatoes and these Brussels sprouts Heston style: not the chocolate variety this time though! 1. Slice the bases from the Brussels sprouts and carefully separate the leaves, pulling them off the sprouts. 2. Fry the bacon in a frying pan over a medium heat until soft but not coloured. Remove from the pan and drain on kitchen paper. Set aside. 3. Melt the butter with the bacon fat in the frying pan over a medium low heat. When the butter is foaming, add the Brussels leaves and stir in the bacon. Add 2 tbsp water and cover the pan. 4. Allow to cook for 3–5 minutes and season with salt and pepper. 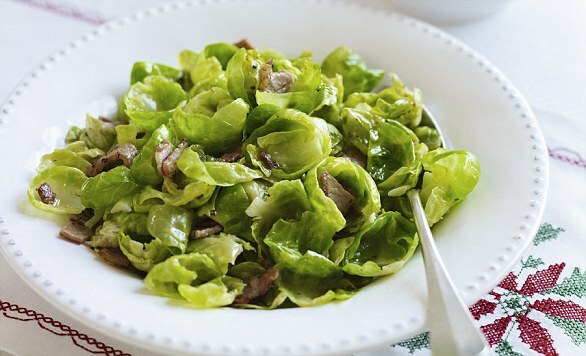 Top tip: The Brussels sprouts can be shredded with a knife if time is short.